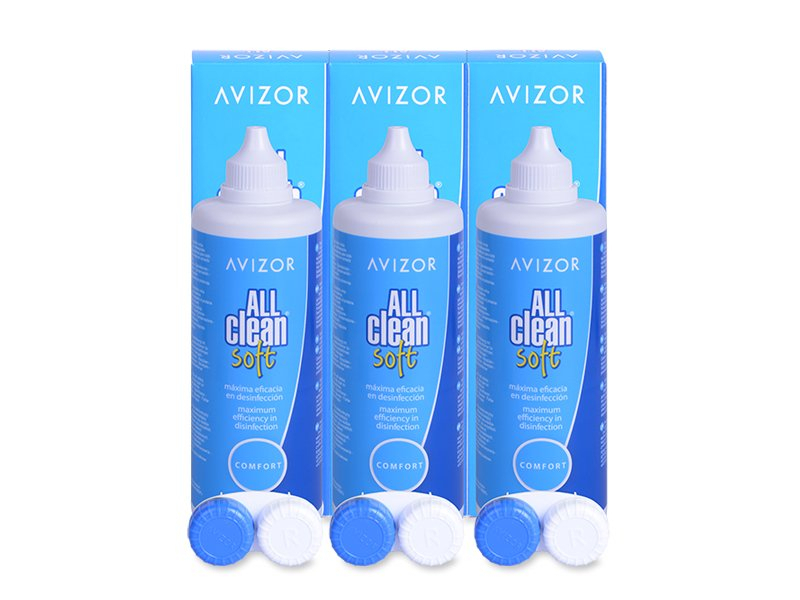 Avizor All Clean Soft solution is now available in a cost-effective triple pack of three 350 ml bottles. Stock up for your family's eye care needs today! 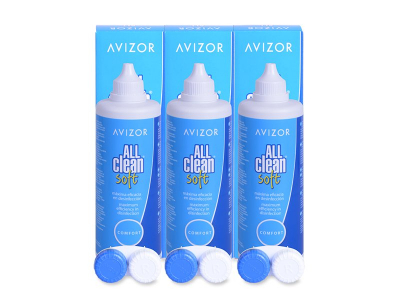 To care for your bi-weekly or monthly contact lenses, you need Avizor All Clean Soft multi-purpose solution. Buy it here in a cost-effective and convenient triple pack. A sterile contact lens case is included with each bottle of All Clean solution. The composition of the solution contains a component that excels in its moisturising ability, significantly enhancing the comfort and clarity of your contact lenses. Do not use the solution for more than 90 days after opening the bottle. Keep the lenses in solution for at least 4 hours to ensure complete disinfection and hydration. 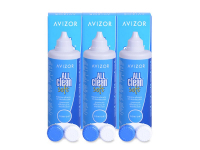 Avizor All Clean Soft solution is also available in a single 350 ml bottle and a double pack.